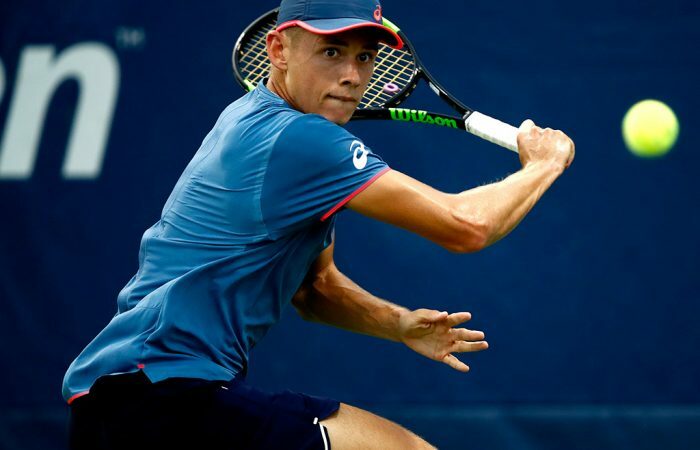 Teenager Alex de Minaur is looking to cause another upset in his remarkable year when he faces Marin Cilic at the US Open. 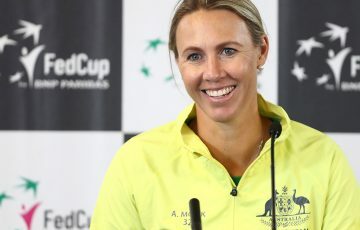 Alex de Minaur will draw on the cherished memory of sharing tennis’s most famous centre court with Rafael Nadal when he tries to claim Marin Cilic’s scalp and venture into uncharted waters at the US Open. 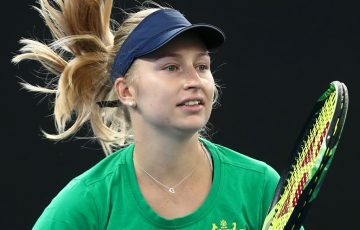 The exciting 19-year-old Australian will take on the 2014 Open champion in the feature night match on Louis Armstrong Stadium at around 11am on Sunday AEST. 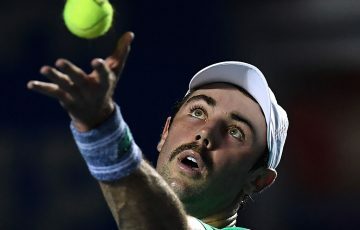 Fellow Australians Nick Kyrgios and John Millman are also in action on day six – Kyrgios takes on five-tries champion Roger Federer, while John Millman plays Mikhail Kukushkin of Kazakhstan. 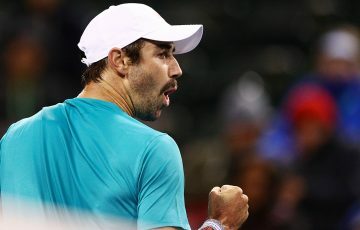 With victories over fellow power servers Milos Raonic, Fernando Verdasco and Feliciano Lopez and a rankings rise of more than 150 spots this year, de Minaur gives himself a shot of upsetting the world No.7. 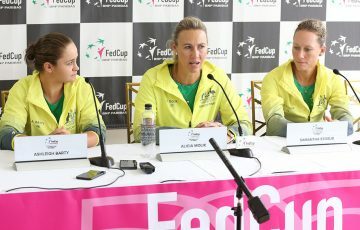 “It’s going to be another tough match. He’s obviously a quality opponent who has won here. But saying that, I’m looking forward to the opportunity,” the 19-year-old said. 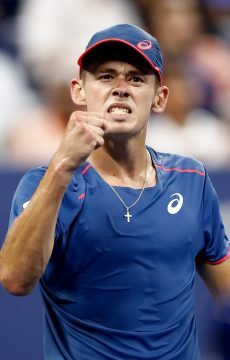 De Minaur said he had goose bumps walking onto Wimbledon’s centre court to face Nadal at The All England Club and planned to lean on that experience when tackling the Croatian giant at Flushing Meadows’ upgraded 14,000-seat stadium. “That was very important. 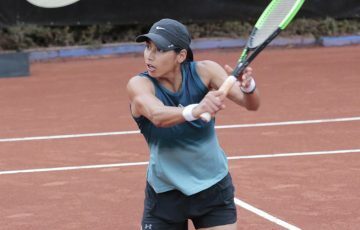 Obviously that was my first real experience on a major court against a top-three opponent,” he said as he eyed his first second-week run at a grand slam. Win or lose, de Minaur is guaranteed to crack the world’s top 40 and his more-fancied opponent is suitably wary. “He is, with his style, a very consistent player, very tough physically as well – fast, plays great tennis,” said Cilic, the 2018 Australian Open runner-up to Roger Federer. “Obviously very steady from the baseline, putting on a lot of pressure as well. 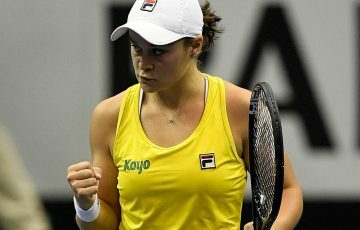 The winner will progress to a fourth-round meeting with either Belgian 10th seed David Goffin or German Jan-Lennard Struff.